That is the fake name assumed by a young military officer from the United Provinces of Japan. He has been tasked with infiltrating Tenshudo Academy, located in Special District Morino, impersonating a transfer student. 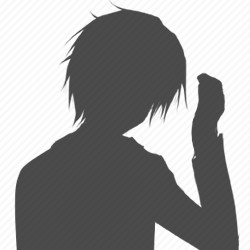 He is to cast aside his former identity, and 'become' Toubu Kaito. Special District Morino, also known as the neutral zone, is a region of historical significance, and right now, it is the one area which 'both Japans' have their eyes on most. Upon first entering Morino, Kaito decides to walk around and familiarize himself with his new home. After visiting many different places, he then ends up in a park harboring a memorial statue that honors a certain peace treaty. Kaito wanders a little too far, and finds a remote area where he is presented with a vast flower bed that covers every inch on the ground. And he is not alone. There is a single girl there, tending to the flowers. "Why hello there. How do you do, sir. Ah, I suppose I ought to say 'good evening' considering the time of day. " 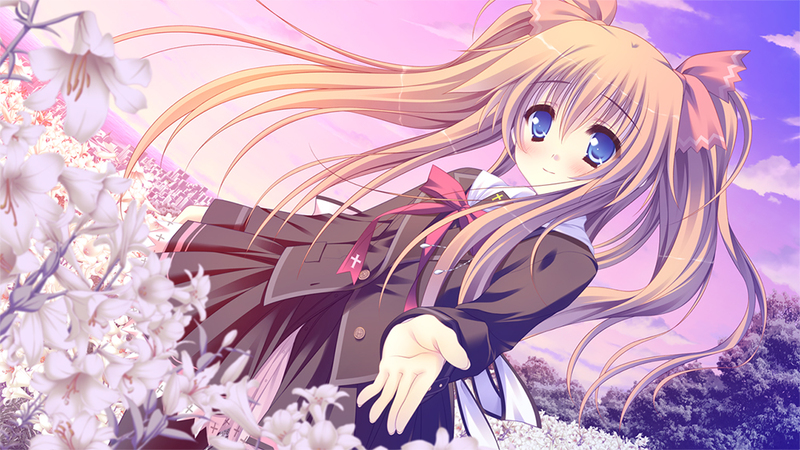 The girl gently smiles at Kaito, and asks for his name. "Toubu Kaito's my name... at least, it will be during my stay here." "If it was a mistake that came about through love, then I think there can be nothing more wonderful than that." Kaito is the protagonist of the story, and "Toubu Kaito" is, in fact, merely an assumed name. He is a lieutenant who works for the intelligence agency of the UPJ military. He was given the mission to infiltrate "Special District Morino" as "Toubu Kaito," thus marking the start of his school life at the prestigious Tenshudo Academy. Because he spent his life in the army ever since he first started out as a recruit many years back, he developed a habit of wolfing his food down as fast as possible. To put this into perspective, give Kaito any meal, and he will be able to finish it in five minutes or less, regardless of the quantity of food. In terms of his physical prowess, he ranks relatively high among the military. He is an exceptionally talented problem solver, which is why he served as the commander of a platoon in the past. He underwent the agency's training program, and that is the reason he is capable of living as an ordinary member of society. According to himself, he only seems sociable because of an intentional effort to appear that way on his part. A facade, essentially. 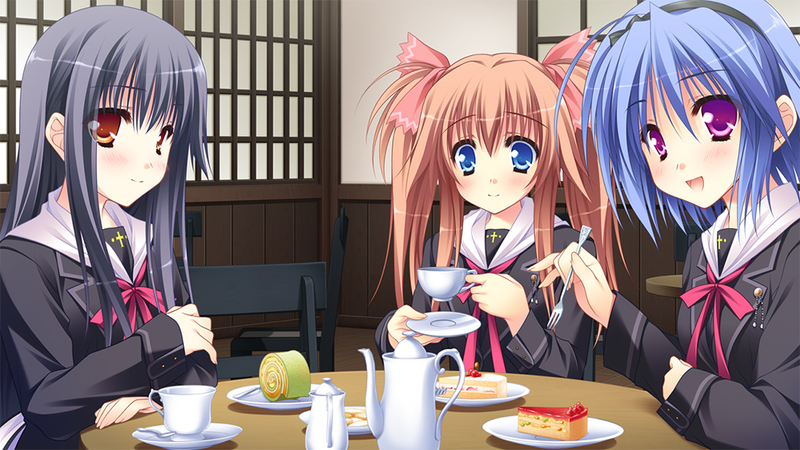 But truthfully, Kaito is a rather social person by nature. He never quite fit in during his time in the army, and was quite aware of this himself. "I like it when you stump me like that, Kaito-kun." She has always "believed" Kaito, ever since the day they first met. 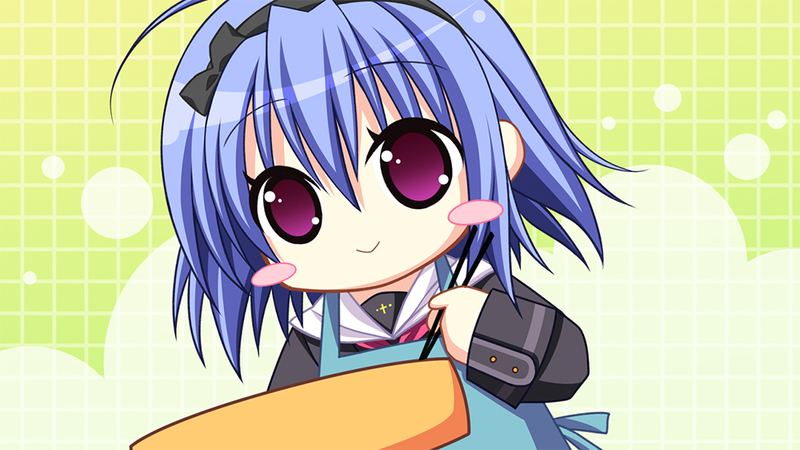 May is a second-year student at Tenshudo Academy, and she has been best friends with Suguri ever since their first year there. 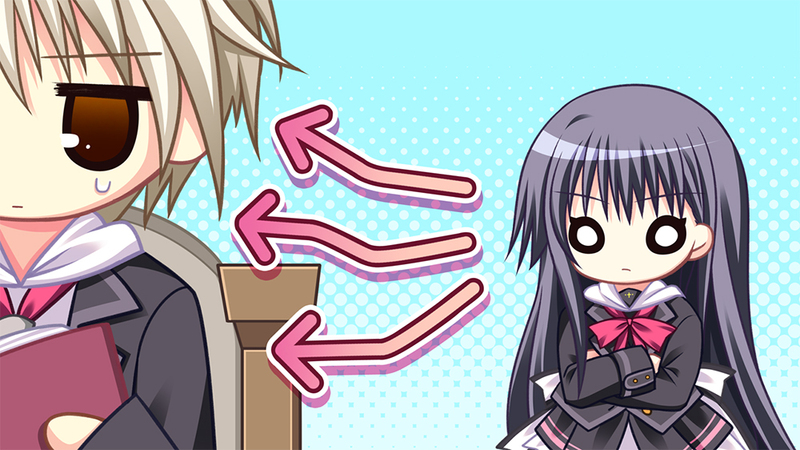 May is very warmhearted, but a bit lacking in situational awareness. She interprets everything positively. You'll never hear a negative word out of her mouth. Aside from that, she has a very forgiving nature, and treats everyone with kindness, indiscriminately. This of course leads to her easily being taken advantage of, a source of constant worry for Suguri. However, regardless of those worries, May always stays true to her nature. In Sister Therese's eyes, May is strong enough to look out for herself. In general she never gets embarrassed, which is why she gives off a calm, mature vibe. Though, she does also act girly and cute on occasion, so all in all, she still feels like a young girl her age. 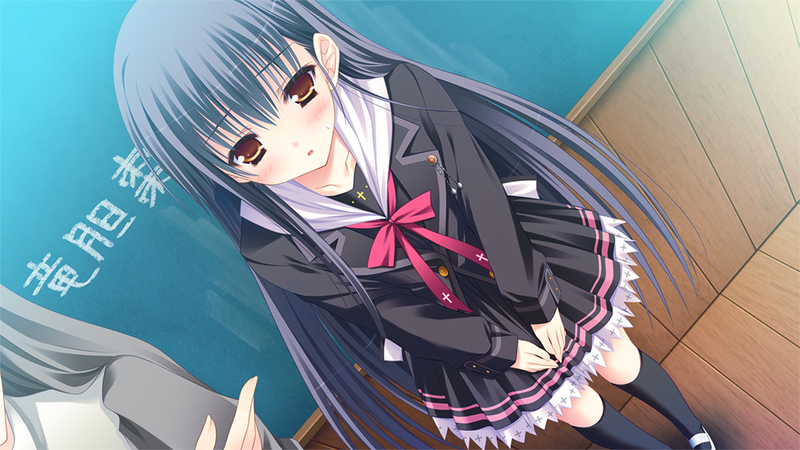 Through meeting Kaito, she comes to experience love for the first time. 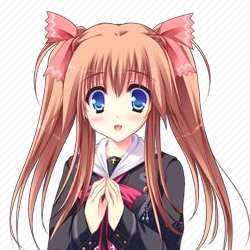 In her case, she doesn't quite understand the extent of her feelings, but she can be very proactive about things nevertheless. Anything you put in front of her, she'll eat. She only has two categories for food, "delicious" and "edible." "Nice to meetcha! And no calling me Sue-chan!" Suguri is a second-year student at Tenshudo Academy. She and May have been best friends since their first year. In general, she has a very busybody nature, so the more helpless a person is the more tempted she'll be to meddle. If May is to be described as "benevolent," then Suguri would be "obliging" in contrast. She isn't used to receiving compliments, so on occasion she might deny them, but that's only her hiding her embarrassment. "I-It's nothing THAT special!" she'll say. But in truth, she enjoys receiving compliments like that. She plays herself up as the type that doesn't care what others think of her, but she honestly does, and can be quite fragile. She and May have been the best of friends since their first year at the school, and everyone around them knows them as an inseparable pair. May thinks of Suguri as someone very reliable, while to Suguri, May is someone who needs a friend to look out for her, but she does respect May, very much so. They have a mutual respect for one another, which stems from their view of themselves as opposites. Each holds a trait the other is lacking. But if you ask anyone else, they'll tell you the two of them are exactly alike. She is also very particular about her calorie intake. Small changes in her weigh can either lift her to cloud nine, or drop her to the pit of despair. "It's simply superb. I have never eaten anything quite like it. All the sweets I ate in the Commonwealth most definitely were fake." Natsume is a member of the Commonwealth of Japan's bureau of intelligence, dispatched to observe Kaito. 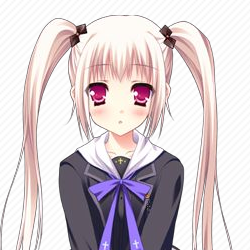 Hence, she transferred into Tenshudo Academy a short while after him. Her military rank is lieutenant colonel in the Commonwealth. She acts rather aloof, just as her appearance would suggest, but on the inside, she's incredibly shy and terribly prone to embarrassment. Being a member of the Commonwealth's military, her behavior at Tenshudo Academy can only be described as eccentric from her peers' perspective. Couple that with her naturally gorgeous looks, and it's no wonder she stands out a lot. In Natsume's mind. however, she's successfully being inconspicuous. She's very naive, but diligent. 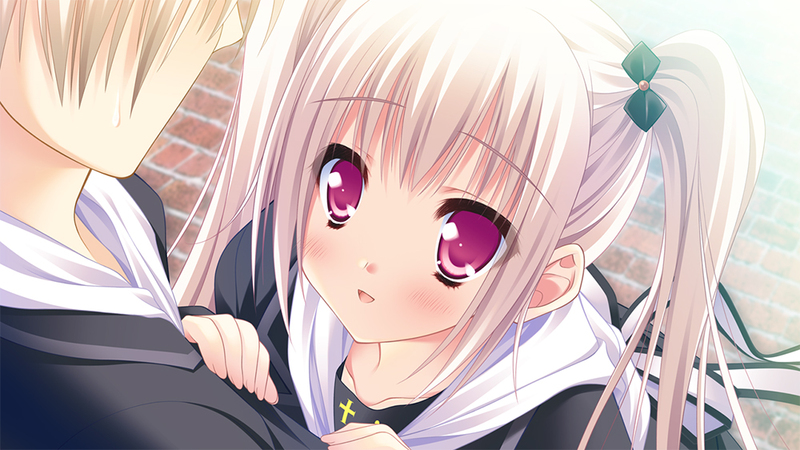 Natsume lost both of her parents at a young age, which resulted in her being raised primarily by her grandmother. She loves that grandmother dearly. Though you wouldn't think it, she's actually very bad at handling high-pressure situations, and it's partly thanks to the help of Kaito and the others that she's able to manage at school--something which Natsume herself doesn't realize. She's incredibly talented sports-wise, and is particularly phenomenal at sports where your skill is judged by a time, like track and field among others. To put it into perspective, she's good enough to outclass regulars on the school sports teams. Her food preferences are none. To her, it's a source of nutrition, and nothing else. She couldn't care less about a food's taste, or how it's prepared, so long as it comes out eatable. She had always had a bit of a sweet tooth, but after trying a cake at a certain cafe in Morino, she became completely addicted. "But you don't have to force yourself, Nii-san. You'll always be a brother to me, but I don't mind if I'm a woman to you." 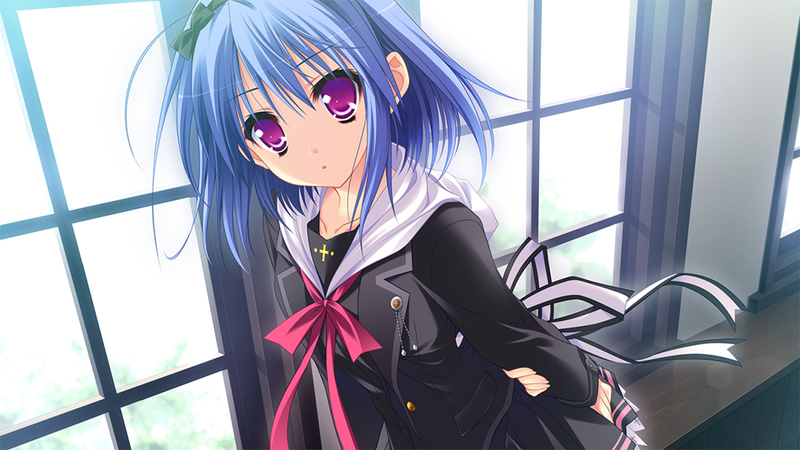 Koharu claims to be Kaito's little sister, and is a first-year student at Tenshudo Academy. 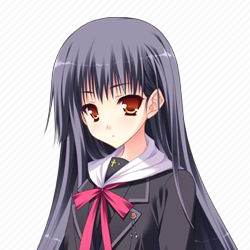 A certain incident ten years ago left her orphaned, and she's called Tenshudo academy her home ever since, living under its care and protection. Despite having no relation to him at all, she calls Kaito "Nii-san," and is absolutely, unequivocally supportive of him in anything he does. You might consider that the trust that comes with being regarded as her 'brother,' but she does love to tease him whenever he says something he shouldn't have. Having sibling-like moments with Kaito is her greatest joy. Her speech and mannerisms are very polite, and this is similar in front of both friends and strangers. She has an avid curiosity, which leads her to know all sorts of stuff, but her random tidbits of knowledge are honestly quite useless. 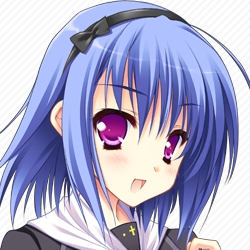 Koharu is as bashful as any other girl her age, but she often digs her own grave, when her curiosity gets the best of her and she lets slip something embarrassing. She always tries her best to help Kaito, but more often than not, her help only has the reverse effect. When it comes to food, she's a very picky eater, almost what you'd expect from a child. As such, she won't eat things that have little to no flavor. Her favorite foods are hamburg steaks, fried chicken, and hot dogs--basically anything that has meat. She loves it so much that she knows almost everything there is to know about, even though it's all useless knowledge. She's very dissatisfied with her height and breast size, mainly because she expects to grow with all the meat she eats. 1. What versions of the game are going to be available? 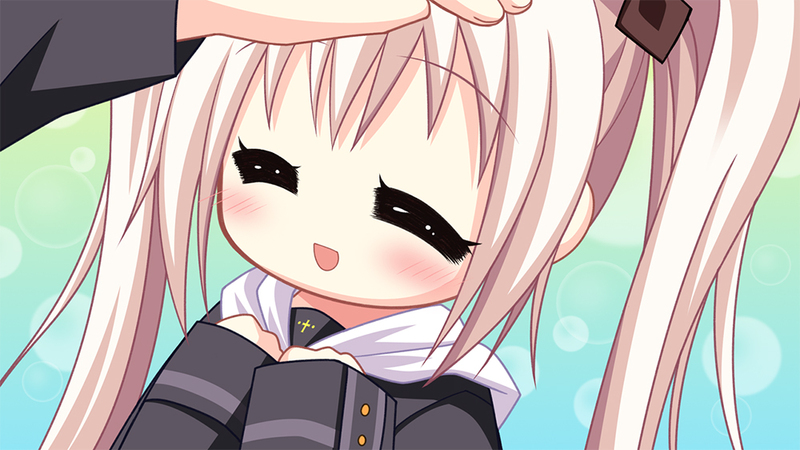 A censored version is coming to Steam, and the x-rated version will be made available through our webstore and other platforms. 2. Uncensore Patch for Steam? Yes. You'll be able to download the patch from our website for free. 3. Are H-CGs going to be mosaic-free? Not on release, but we might do a limited physical release later on. We'll need to discuss this with LoS first, though. 2019 © ALL Rights Reserved. NekoNyan Ltd.